Because so few of us now serve in the military, our men and women in uniform have become strangers to us. We stand up at athletic events to honor them, but we hardly know their true measure. 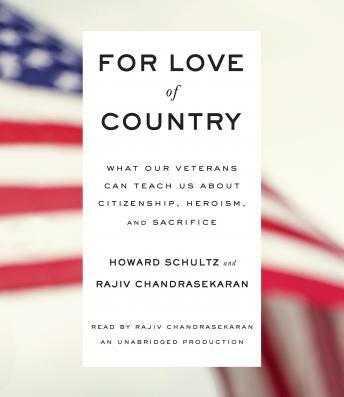 Here, Starbucks CEO and longtime veterans’ advocate Howard Schultz and National Book Award finalist Rajiv Chandrasekaran of The Washington Post offer an enlightening, inspiring corrective. These powerful, unforgettable stories demonstrate just how indebted we are to those who protect us and what they have to offer our nation when their military service is done.